Celebrate the world of Indian classical Instrumental Music, in the this special collection of long-playing MP3s. 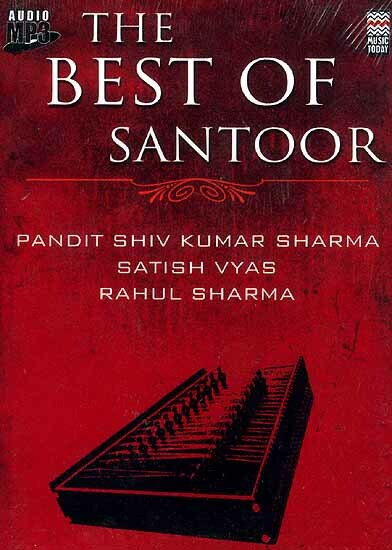 This special MP3 features the charismatic hundred-stringed lute, from the valleys of Kashmir, popularly known as the Santoor. In over 3 hours of this MP3, it presents some scintillating ragas played by the legendary maestro Pandit Shiv kumar Sharma, Satish Vyas and Rahul Sharma, thus leaving an unforgettable over its listeners.